Connect Electric is a small independent family run business based in Whitefield, serving the whole of the Manchester area. We offer professional electrical services to residential and commercial customers alike. With an established 14 years experience we guarantee to deliver at competitive prices to suite all projects large or small. We are a full scope member of the National Association of Professional Inspectors and Testers or NAPIT for short and we are proud to bare the Governments Trust Mark sign of Local, trustworthy & reliable tradesmen. We are fully qualified, conduct safe working practices and we are properly insured. All our work conforms to the latest wiring regulations BS 7671 17th edition, so you can be assured of a safe installation. Looking to invest in Solar? As a Which? Trusted Trader you are safe in the knowledge we will deliver high standards every time. 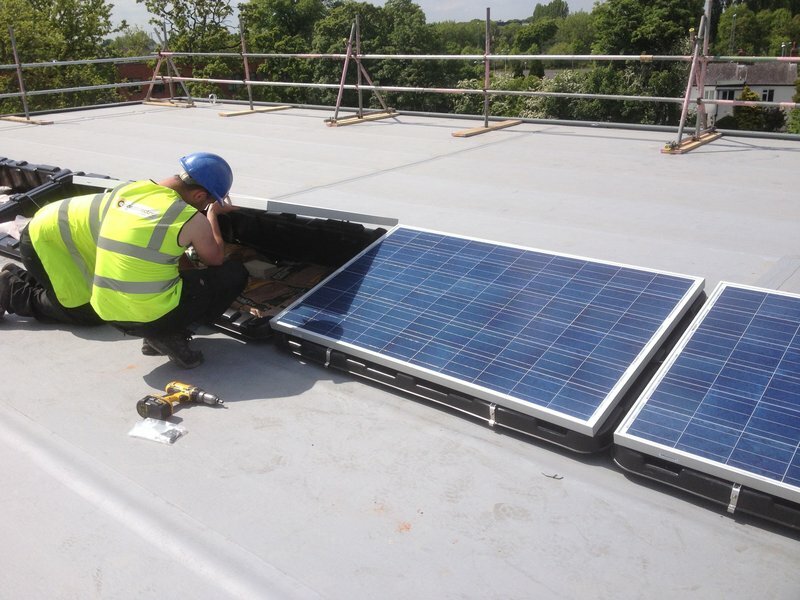 We asked Connect Electric, in the person of Chris Barker, to fix solar panels to our property in Leigh, having experienced excellent service at a similar property in Little Hulton last year. From start to finish on both jobs Chris was completely professional and cheerful and, in the case of the Leigh property, helped us find a roofer to re-roof. I can thoroughly recommend him as a worker who does what he says, arrives on time, and does his very best to make everything as easy as possible for the customer. Had our inverter replaced by Connect Electric. Good advise, excellent service and reasonable price. Kept us informed if he was to be late etc. Chris and his team are fantastic…very trustworthy and reliable.Know exactly what they are doing and reasonable on price.Stick to what they agree.When a tradesman has the knowledge and experience to work quicker then he can afford to charge less which is where Chris shines.If you are looking for a reliable professional electrician then look no further. Worth waiting for. We use Connect whenever we have electric jobs to be done - always good advice, fast and comprehensive. Would definitely recommend them for any electric job big or small. Our latest was for a kitchen rewire but they have also done smaller jobs - always the same great service. Chris installed an outdoor light, put in two new plug sockets and fixed my aerial as well as moving my tv onto a different wall. When you are looking for traders to do work they can take ages to get back to you if at all. Chris got back to me very quickly and carried out the work professionally and efficiently. I was really pleased with the quality of finish. I can only have good words to say about connect electric. New customer who will certainly return! From first contact to completion of the job I was impressed by the professionalism and pleasant, polite approach which I encountered. Information was clear and the job was completed in record time. A reasonable charge for a fast, neat piece of work. Highly recommended. Chris and his team fully rewired our new home. They also fitted outside lights and an alarm system. They were professional in their work and completed the jobs in the agreed timescale. The price quoted for the work did not change. Fully recommended. 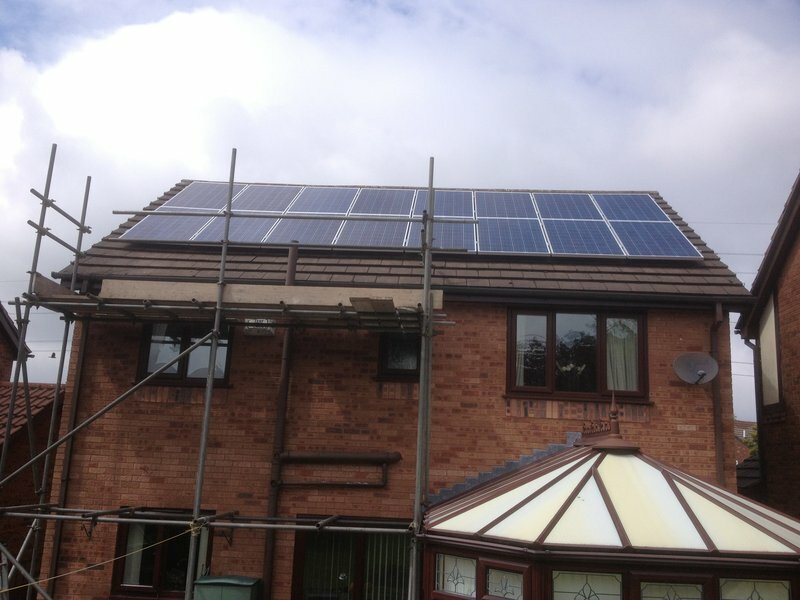 Chris and his team were a pleasure to deal with and fitted out solar panels quickly and were very clean and tidy. The fittings are all secure and professionally fitted. I am impressed that Chris has a real and committed interest to alternative clean energy sources. He has integrity in this developing area. He is a decent bloke. Chris was a pleasure to deal with. The detailed quote was competitive and value for money. Communication was excellent, providing all relevant information and keeping us informed as he went along. They worked extremely hard in very challenging weather conditions and kept to their price. We just need some sunshine now! !